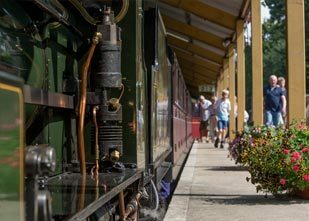 Experience the beauty of the area, just hop on or off the train at any station along the line with plenty of things to do. A footpath and cycle path runs alongside the entire nine mile length of the railway from Aylsham to Wroxham taking cyclists and walkers. This is permissive path owned and maintained by Broadland District Council. Users of the path do so at their own risk and the railway company does not give any warranties as to the condition or suitability of the path. Any issues should be reported to Broadland District Council. 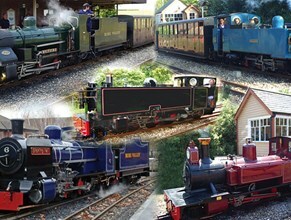 Walkers can join any of the Bure Valley Railway's scheduled services. 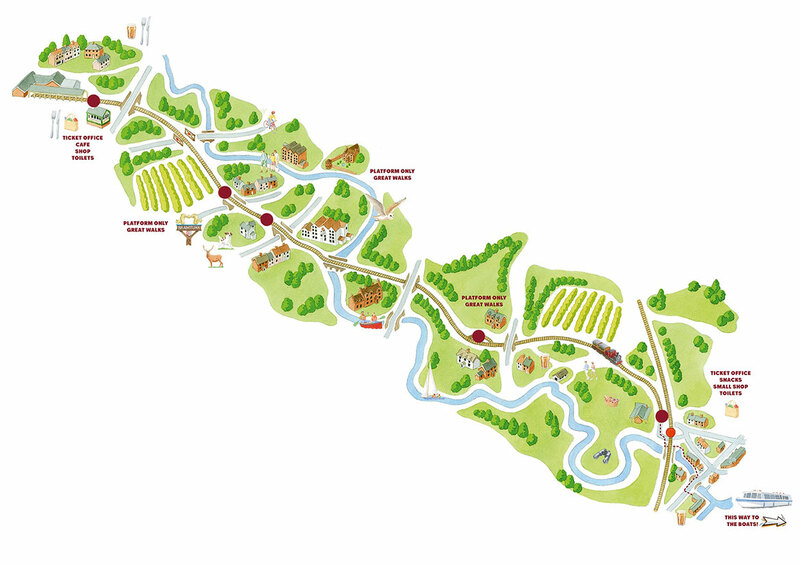 There are also intermediate stations at Brampton, Buxton and Coltishall for those walkers not able to walk the full nine miles between Aylsham and Wroxham. 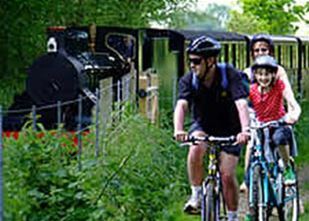 Cycles can be carried aboard scheduled Bure Valley Railway services, at a maximum single journey rate of £3.50 per cycle (subject to availability). This means that folk now have the option of walking or cycling in one direction and catching the train back. 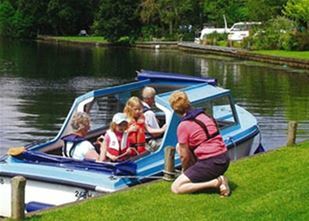 At the Wroxham end of the line you can hire cycles from TheCanoeMan in the centre of Wroxham, and Broadland Cycle Hire located just outside Hoveton. We regret that we have very limited accommodation for cycles on our special events and that we are unable to take advanced bookings of space required for cycles.